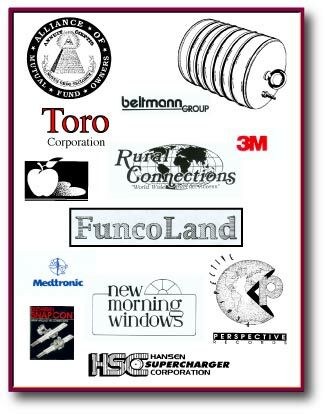 Many people wonder about trademarks. What are they and how do I use them? A TM may be a word, symbol, design or combination word and design, a slogan or even a distinctive sound which identifies and distinguishes the goods or services of one party from thoughs of another. It can even be the shape of the product it-self. Used to identify a service, it can be called a service mark. In general, the term refers to both TMs and Service Marks. For the most part, a TM for goods appears on the product or on its packaging. while a service mark is usually used in advertising to identify the owner's services. Have you ever thought about... what is the difference between a patent and a TM? A patent gives protection for an invention. A patent provides a tool to enforce a monopoly on its utilitarian function. A TM is different. A TM is a form of identification, a brand name. TMs are very useful in combination with new inventions. A TM provides brand name recognition to a product. 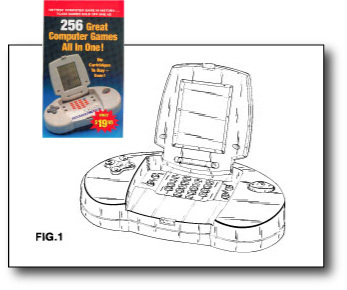 Patent illustrations are different than TM illustrations. 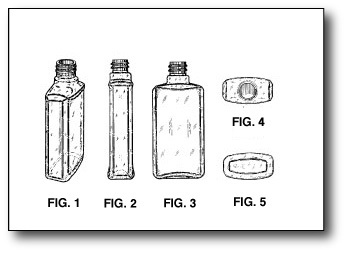 Learn More About Patent Illustrations. When you come up with a TM, here are some steps you can take. (1) Keep it secret until you use it. (2) Make sure the mark is not to generic. It should do more than merely describe your invention. (3) Make sure the mark is not already in use, by some else. Like US patent searches, TM searches reveal if your mark is already in use or not. You can do this yourself or hire someone to do it. (4) Use your TM. (5) Register your TM. You do not have to register it, but it may add to its value. (6) Use it properly as a brand name. Ask Questions About Trademarks. Written applications are filed for registration of a TM. The type of drawings we prepare are used by inventors and patent attorneys to file an application. The drawing is a representation of the mark as actually used or intended to be used on the goods or services. We can work from art you already have or design the mark for you. There are special drawing requirements. You do not have to worry about this. We will take care of that for you. The whole object of this special drawing is to have the mark issued in a particular style. The mark may also contains a design element. The TM is rendered in black and white. Where color is a feature of the mark, the color or colors may be designated in the drawing by linings, shown in a codified way. We take care of this too. Licensings are the object of many inventors. There are many draftings involved in the invention process. Trademarks are just one part of it. US patent searches are a part of the process too. Contact Us for any help you are in need of, to prepare a trademark. We are able to prepare you an accurate trademark drawing for your registration. Just click on the Order Drawings Now link, to order trademark drawings. We appreciate your order. Thank you! Order Drawings Now. Free Consultation About Your Trademarks.